Terraforming Mars is flat out fun. Terraforming Mars was one of the biggest hits of 2016, being nearly perpetually sold out since its release. Why the hype? Based on decades of scientific research and painstakingly put together using real principles, Terraforming Mars is a game of making a new home for humanity. Its tense card play, captivating theme, and economic strategy have made it a favorite of gamers around the planet. 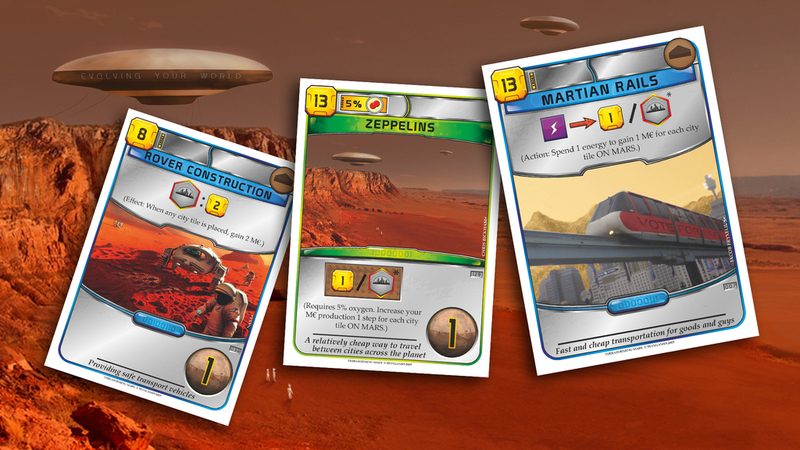 In Terraforming Mars, players take on the role of corporations who have been sent to Mars to develop its atmosphere, plant crops, create oceans, and add wildlife – all by the most efficient means. The game is played through the use of cards – before the start of each round, players must draft these, choosing one to keep and passing the rest of their hand. It is also required that players pay credits for each card they want to keep, simulating acquiring the rights to certain technologies. Economic planning therefore is crucial – why pay for cards you won’t use? It’s just really good game design. A fantastic, fantastic game. Wonderful engine building with solid thematic integration […] it has blown me away. 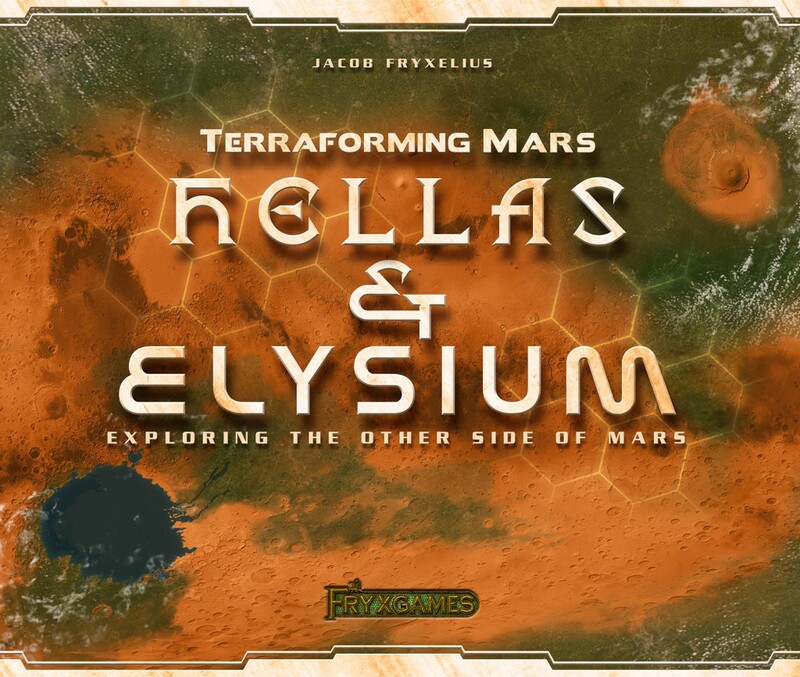 There has been a lot of hype for Terraforming Mars and although I have some hipster tendencies that make me think something can’t possibly be that good if everyone else is saying it, Terraforming Mars completely proved that to not be the case. The cards make this game. The cards are so great. […] They work well together, the effects are great, and you just want to keep building […] and I love it. Should You Buy Terraforming Mars? 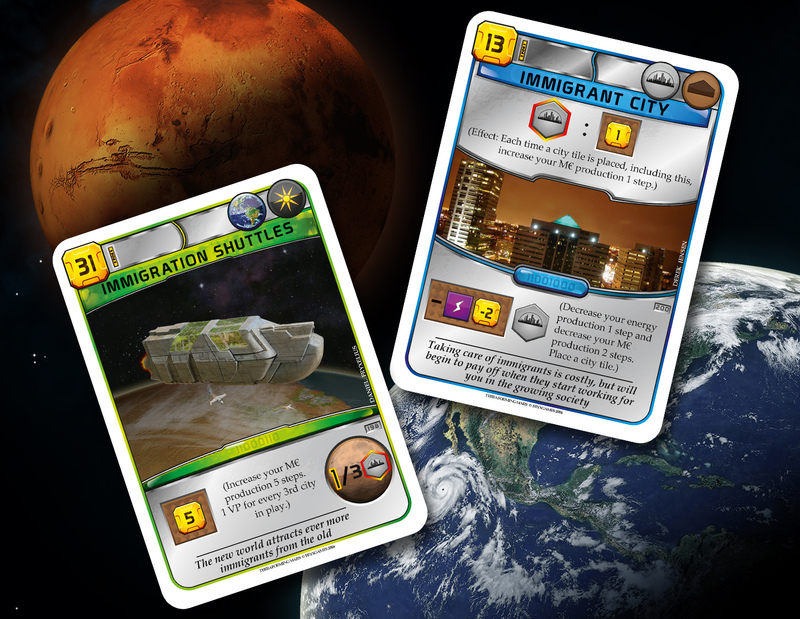 If you enjoy science, science fiction, card drafting and economic engines, you’ll find something that you enjoy about Terraforming Mars. With plenty of expansions planned and loads of strong reviews to back up the gameplay, Terraforming Mars is one of last year’s most well-received titles and deserves a place on your table. The game’s first upcoming expansion, hotly anticipated.